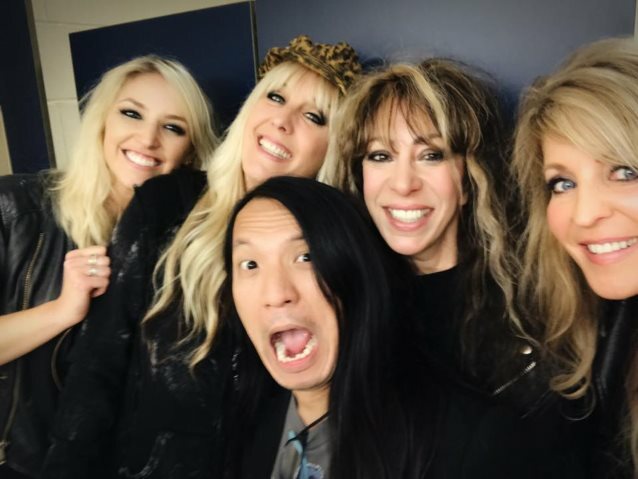 Lightning and Leslie made their live debut with VIXEN on March 25 at the Rock The Arena II festival at Savage Arena in Toledo, Ohio. Stile originally played with VIXEN in 1997-1998 and returned to the band in 2013 as the replacement for the group's deceased founding guitarist Jan Kuehnemund. Lightning (a.k.a. Brittany Denaro) previously played guitar for LA BANDA DE ALEJANDRO SANZ, CHIX 6 – THE MUSICAL and Rachel Platten. 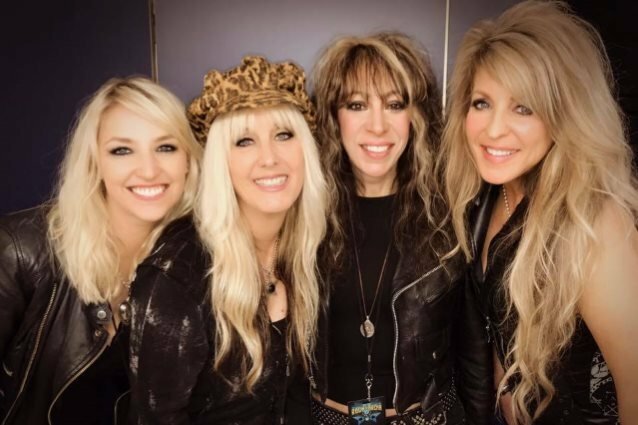 Drummer Roxy Petrucci, singer Janet Gardner and bassist Share Ross honored Kuehnemund by resurrecting VIXEN in 2013. After discussing the idea with friends and family as well as lead vocalist from VIXEN's previous lineup, Jenna Sanz-Agero, it was agreed that it was the right decision for the three surviving definitive members to carry on as VIXEN. Kuehnemund was only 51 years old at the time of her death. Petrucci recently told Totally Driven Radio that VIXEN has "a bunch of demos" recorded for a possible new studio album but that the band is not yet ready to begin work on a new disc in earnest. She explained: "It's a timing thing. We've just gotta take the time and start buckling down and doing it. It's just that everybody has lives going on too, so between playing live and then everybody going back to their homes, which is all over the place… We'll get there. We'll get there. We're having a lot of fun, and we love doing the live stuff right now."